Having a sense of pride and responsibility for the community is something Cloud & Fire tries to instill in its students through service projects. We want our students to be positive, thriving members of their communities so they can be a part of the solution and not the problem. It’s always great when our students work together to do something for their community. Our leadership class recently started a service project where, with the help of their peers, they gathered items to be donated to Homeboy Industries. Homeboy Industries is a non-profit organization located in East Los Angeles and was started by Father Gregory Boyle in 1988 to help people affected by gang life. After running a competition between the homeroom classes to see who could collect the most items to be donated, leadership students headed to Homeboy Industries to take a tour and drop off the collected donations. Growing up among youthful offenders made me desire and strive for something better. 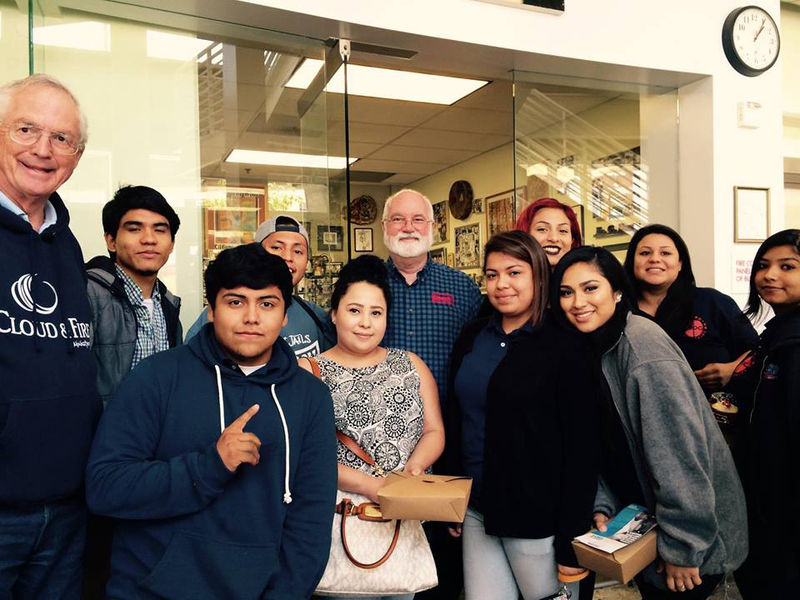 The trip to Homeboy Industries impacted my life in an amazing way. Walking through the doors of the organization and seeing many former gang members trying to better their lives brought so much joy to my heart. My childhood friends are gang members and everyday that I walk home and I see them outside I pray that they would be there the next day and that God would guide their path for a better tomorrow. Homeboy Industries gave me the courage to tell some of my friends about this amazing organization that helps change one life at a time and helps those that just got out of jail back on their feet. Homeboy Industries is a unique organization. I can relate to the people there because the same way that many of them see Homeboy Industries is how I see Cloud & Fire. Just as Cloud & Fire is a second home for me, Homeboy Industries is for the people they help. I felt the same way walking into Homeboy Industries as when I walk into YouthBuild, I felt a second chance and a better future waiting on the other side of those double doors for me and for many others to come.